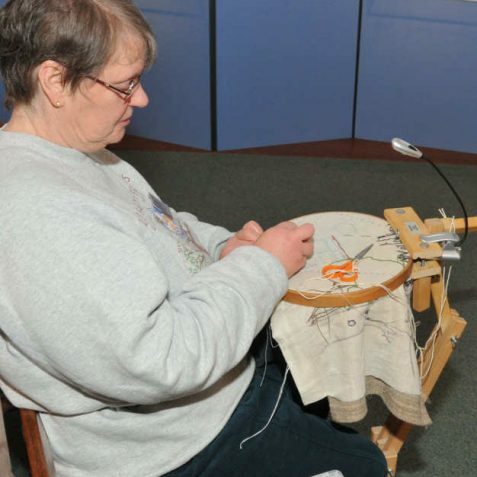 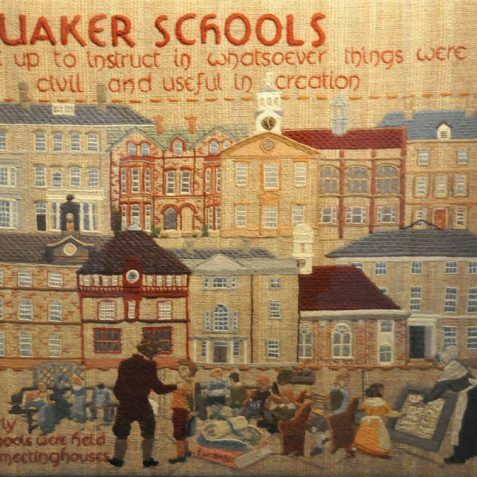 The Quaker Tapestry is one of the world’s largest community textile projects. 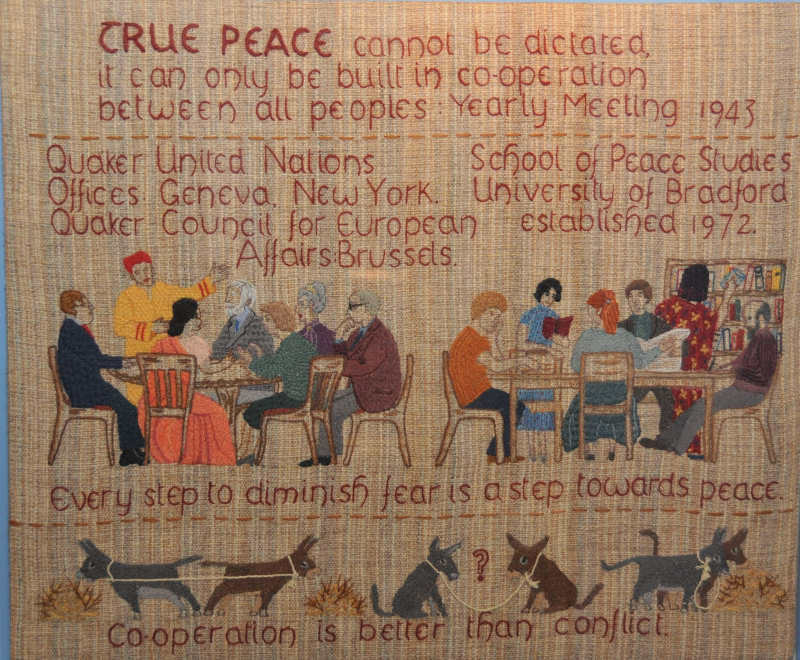 The tapestry comprises of 77 embroidered panels, and was created in the crewel embroidery style of the Bayeux Tapestry. 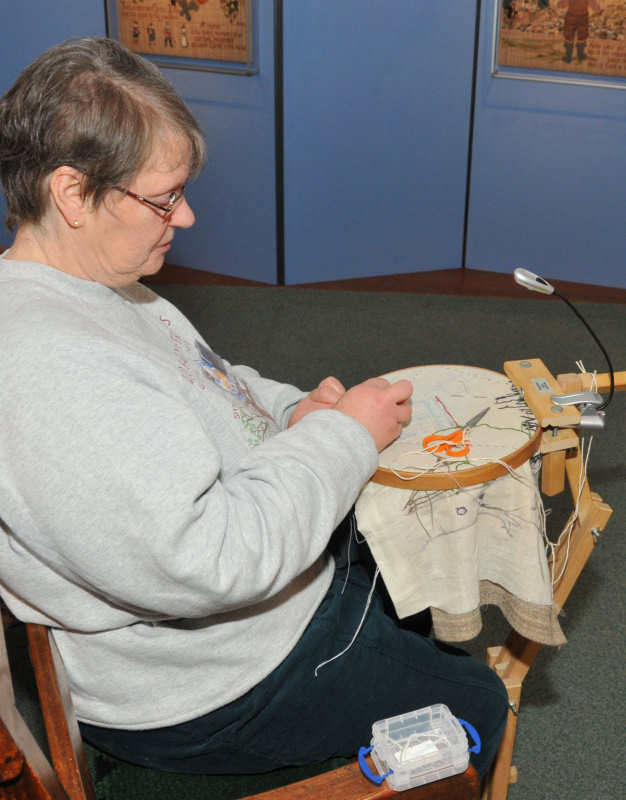 The work celebrates social history dating back to the 17th century; it was made by men, women and children whose ages range from 4 to 90 years old. 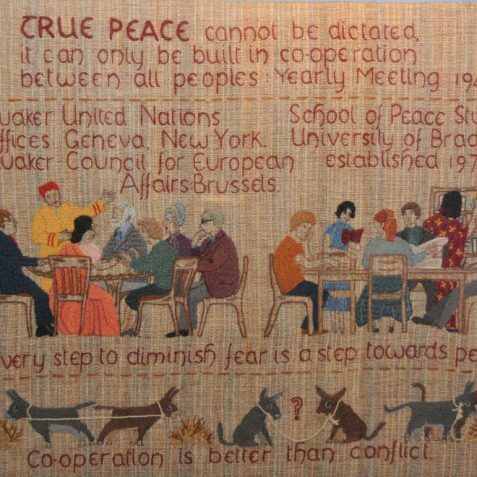 Thirty nine of the 77 panels of the original tapestry have been transported from their permanent home in Kendal, Cumbria and can be seen in a special exhibition staged at the Friends Meeting House in Brighton. 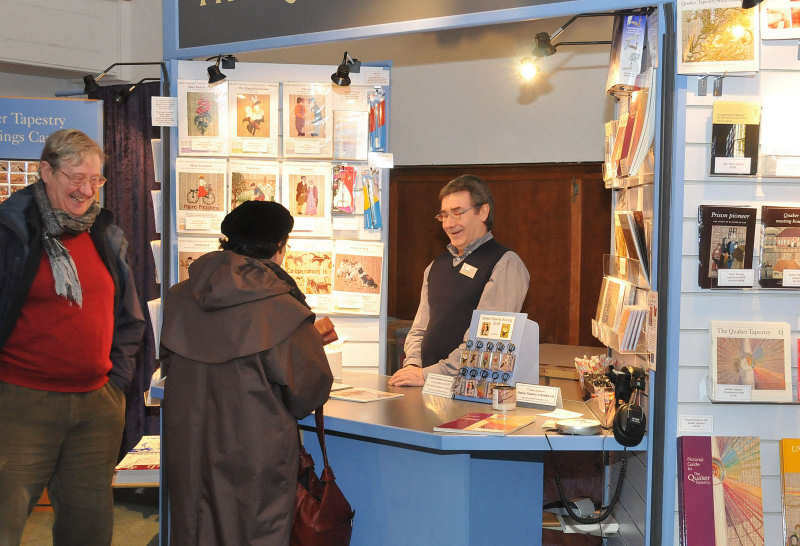 Built in 1805 the Friends Meeting house is the place of worship for the city’s Quakers, and is a Grade II listed building. 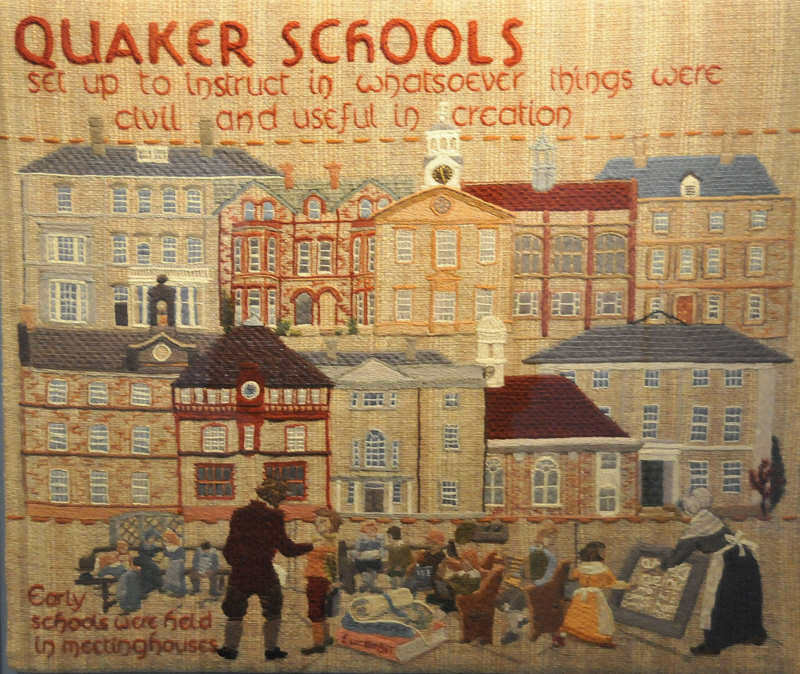 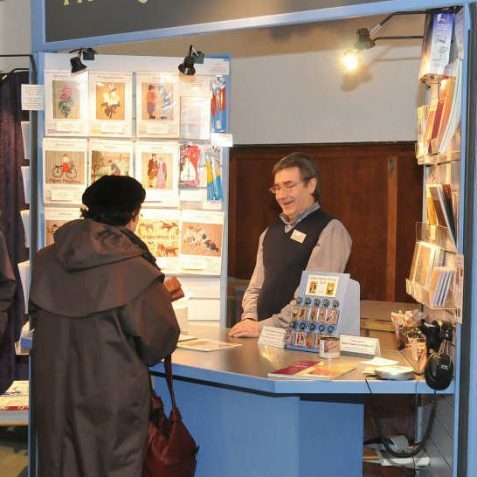 The Quaker Tapestry exhibition runs until 27th February and is open Monday-Saturday, from 10am to 4.30pm, and is free of charge to all visitors.